Tasty Smash - The tasty smashing great game! 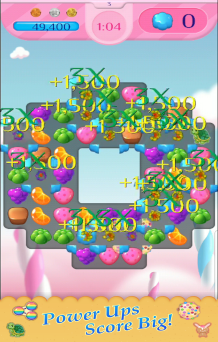 A twist on the match 3 and tap games. Can you smash the treats before time runs out? 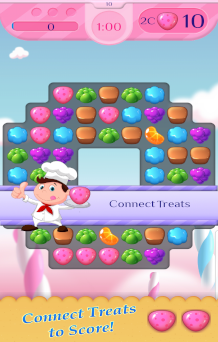 With 4 yummy play styles and game pieces moving horizontal, vertical, and random it’s sure to keep you challenged and entertained while trying to smash those tasty treats and move along the sweet treat path! 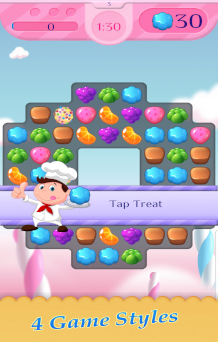 With 4 yummy play styles and game pieces moving horizontal, vertical, and random it’s sure to keep you challenged and entertained while trying to smash those tasty treats and move along the sweet treat path! 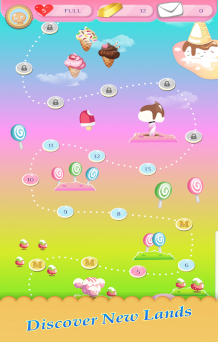 You will find yourself tapping those tasty treats before times runs out one level and then the next level you will need to quickly connect multiple delicious treats before they randomly disappear. Will leave the double tap and double hit variations as a surprise! The goal is simple yet challenging: Smash the target number of tasty treats before time runs out and score enough points to collect your gold bars! 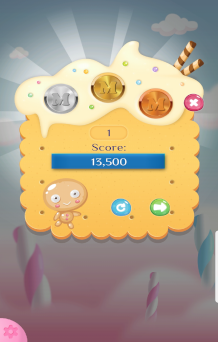 Earn enough gold bars for extra lives or go shopping for custom yummy treats and avatars.